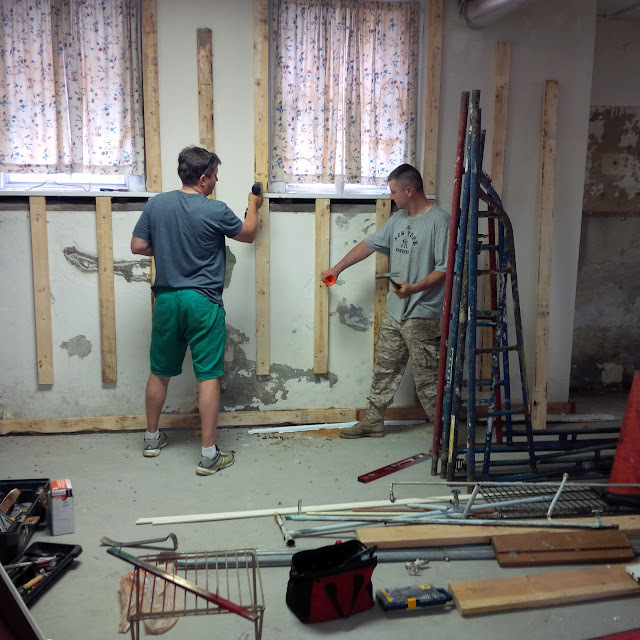 Cossacks of Stanitsa Nikoskaya and from New Jersey gathered together to begin renovation work on the Church hall. This renovation is extremely important as the 6th Annual Cossack Congress in America is set to take place in the Stanitsa. Vice Ataman Dimitry Bagaydin of the Stanitsa expressed the importance that all Cossacks participate in the renovation, especially when more help will become needed very soon. We remind everyone that the Stanitsa will hold its administrative Krug on June 14, 2015 following divine liturgy.